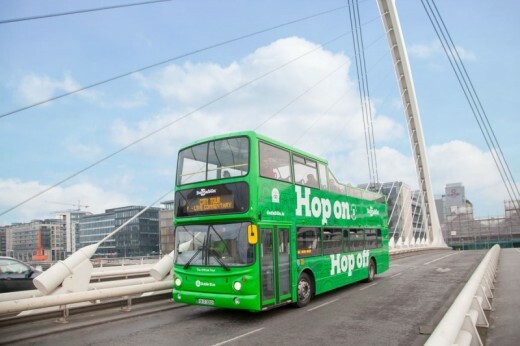 Explore the history and culture of Dublin at your leisure on this hop on hop off open top bus tour. Choose your route and enjoy Dublin's finest attractions. Experience all the history and culture of Dublin in one visit. Hop on and off the bus as often as you like with a ticket valid for 24 hours and learn about the history and culture of the city with the live commentary in several languages. The double-decker tour bus takes you around the most interesting places in Dublin. 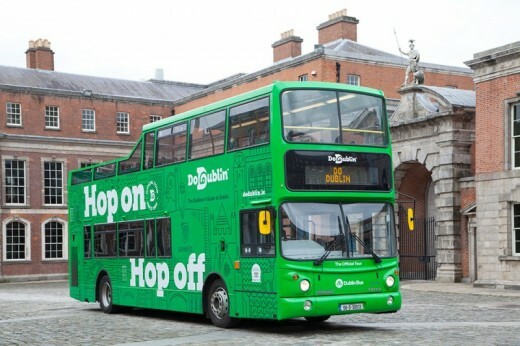 You can hop-off at any time to go visit fantastic attractions like Dublin Zoo, the Guinness Storehouse or The Book of Kells in Trinity College. Your guide will point out all the most famous landmarks and points of interest along the way through the Irish Capital, showing you where famous Dubliners like Oscar Wilde, Bono and Samuel Beckett (among others) lived and spent their time. 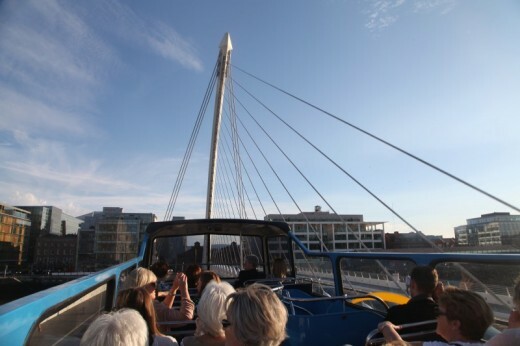 The route also includes a journey through Dublin's Docklands. Visit The Jeanie Johnston Famine Memorial ship, The Bord Gáis Energy Theatre and EPIC: The Irish Emigration Museum. Featured on the DoDublin City Bus Tour is live commentary from Fáilte Ireland trained drivers, all of whom are native Dubliners who will charm and entertain from start to finish. Both Routes start at Stop 1 – O’Connell Street, every 15 minutes Monday to Sunday. This experience starts at different times and dates throughout the year. Please contact us to check availability before purchasing this voucher. Live commentary from Fáilte Ireland accredited guides. Pre-recorded multilingual tours in 10 languages, which operate every 30 minutes. 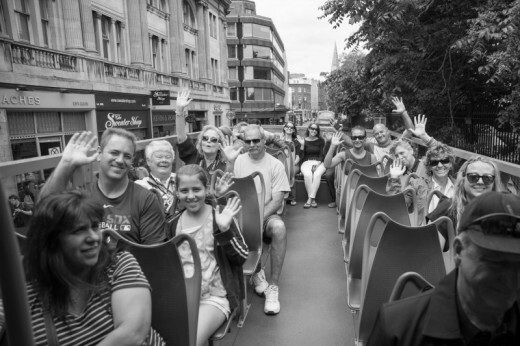 Do you need any help with this gift idea, Dublin Open Top Bus Tour - 24hr?